When a communication failure in a group occurs, a phenomenon called the Abilene paradox occurs where each individual thinks their will is different from the group’s will. 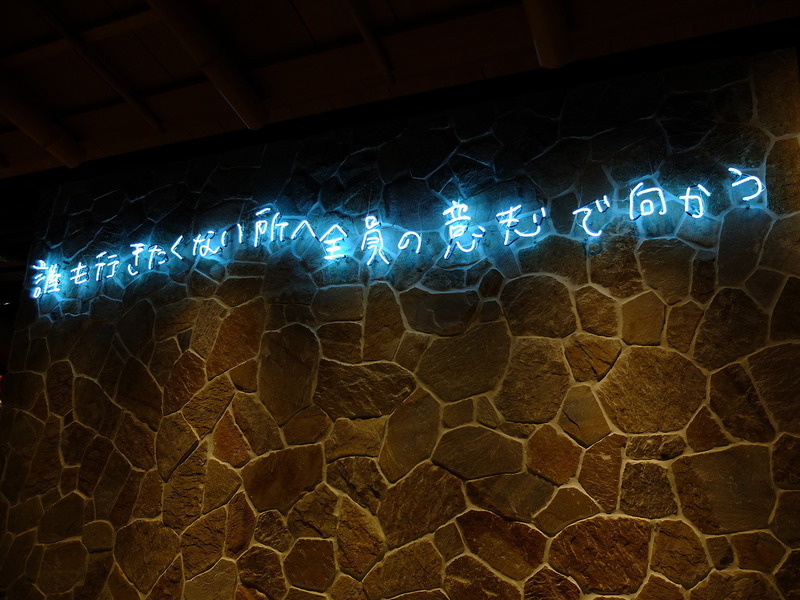 Niwa made a neon sign linking this phenomenon to the intense controversy that occurred in Japan over the possibility of collective self-defense rights which was also called a war bill. During this time, some people argued that this bill should be scrapped because “Nobody wants to go to war”. However, do the promoters of this bill in the government truly support it because they want to go to war? Or maybe, are we heading to war by everyone’s will while all of us thinking “We don’t want to go to war”?